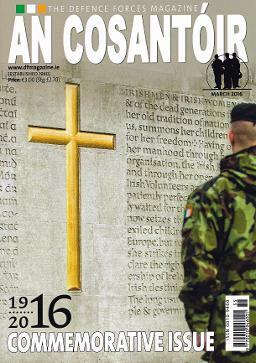 An Cosantóir’s 1916 Commemorative Issue os now in the shops, and what a great issue it is, with a broad range of articles that cover many aspects of the events of 1916. 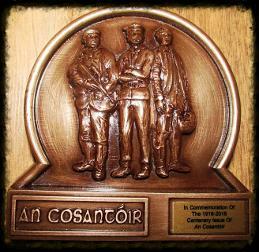 We in Kilmainham Tales must declare a special interest in this particular issue because not alone did our MD Mícheál Ó Doibhilín write an article for it, but so too did five other of our authors – Las Fallon (“The Firemen’s Tale”), Joe Connell, “Rebels’ Priests” and “Unequal Rebels”), Paul O’Brien, (“Arbour Hill”, “Bully’s Acre”, “The Royal Hospital”) and Liz Gillis (Website article “The Great Escape”). In all “we” have seven articles in this great issue. 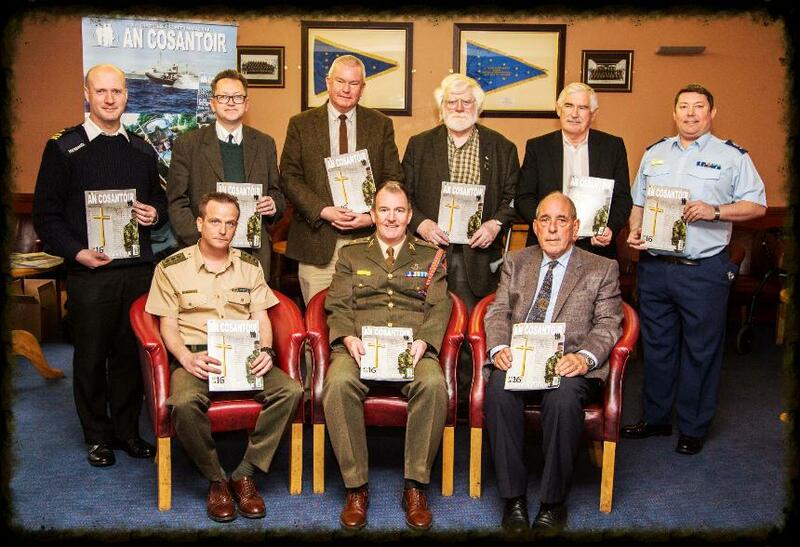 On Thursday March 3rd all the contributors were invited to An Cosantóir’s offices in the Curragh for a special reception to formally launch this special issue. 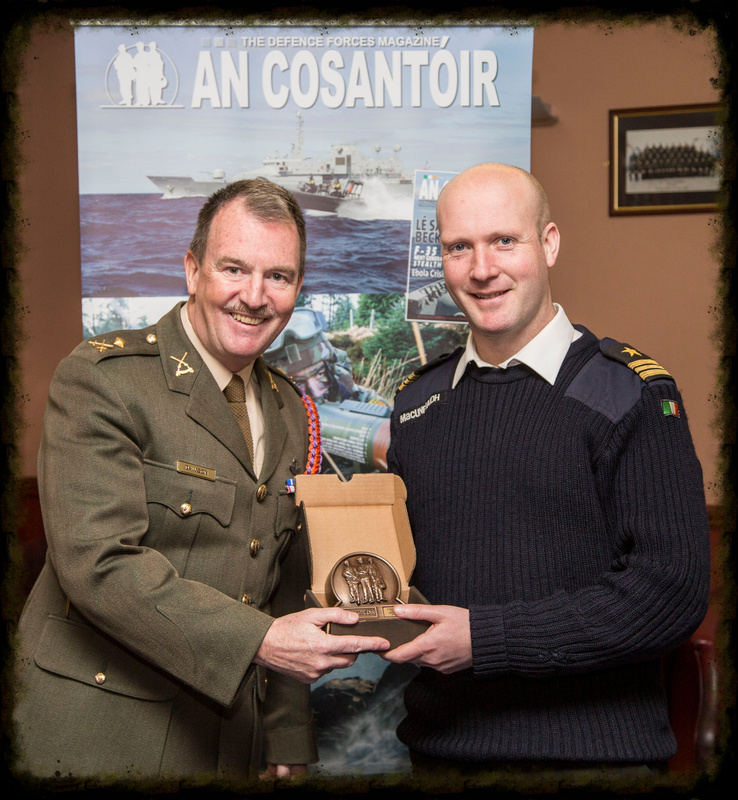 This was a great, informal occasion and we were all very surprised to be presented with a trophy paperweight in memory of our contribution. 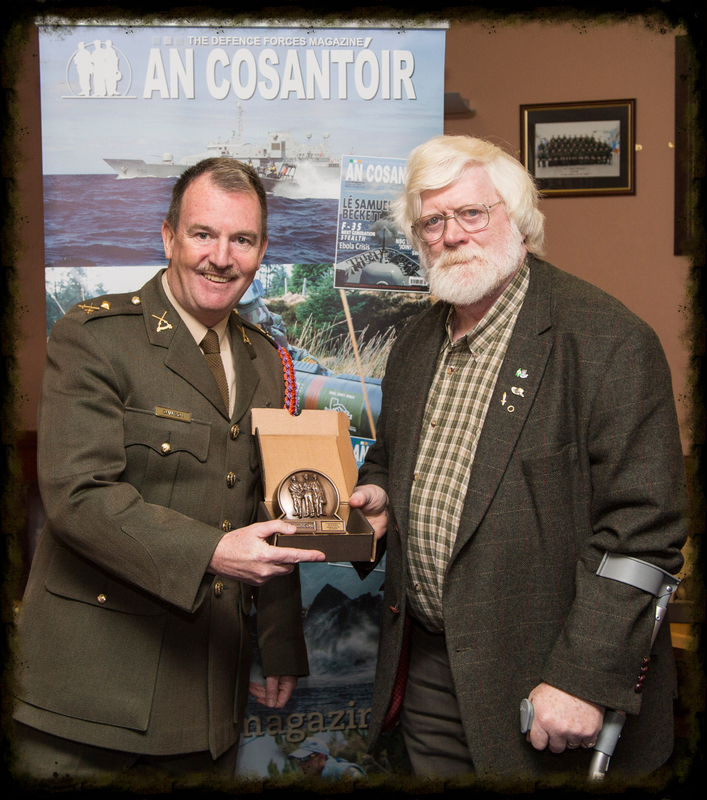 Our thanks to the staff of An Cosantoir and to Wayne Fitzgerald in particular. 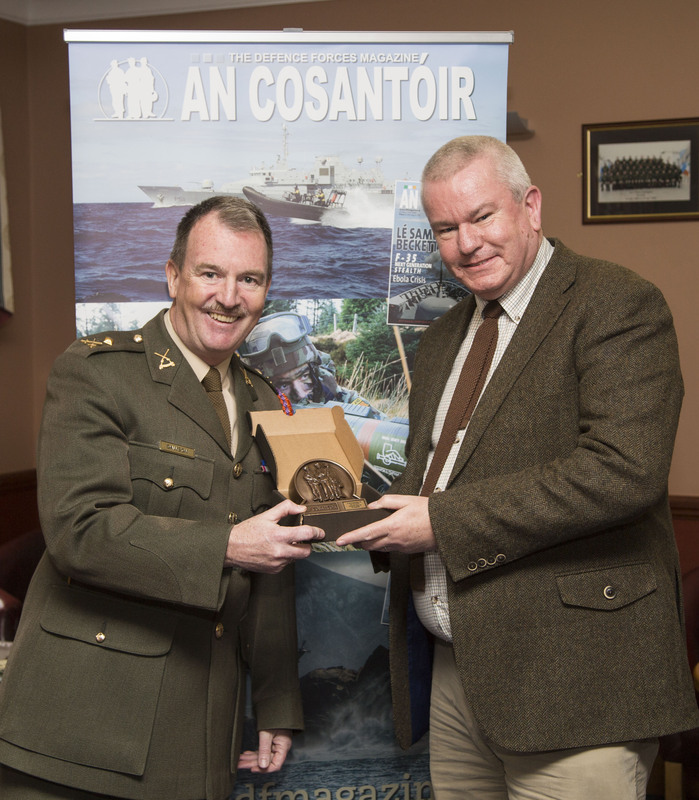 After lunch Las Fallon, Michael Barry and Mícheál Ó Doibhilín spent a wonderful couple of hours exploring the excellent Curragh military museum. 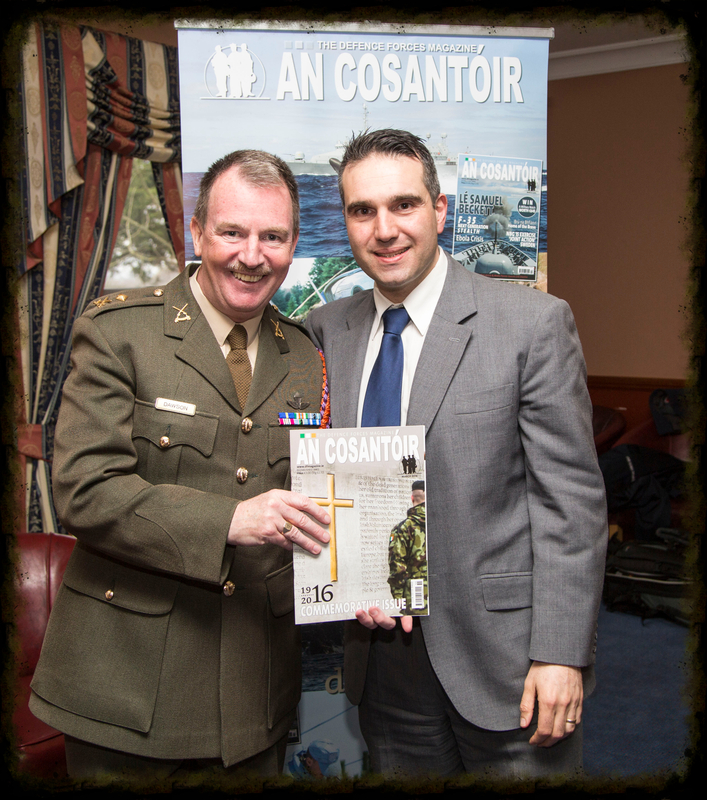 An Cosantóir is now in its 76th year and is going from strength to strength. 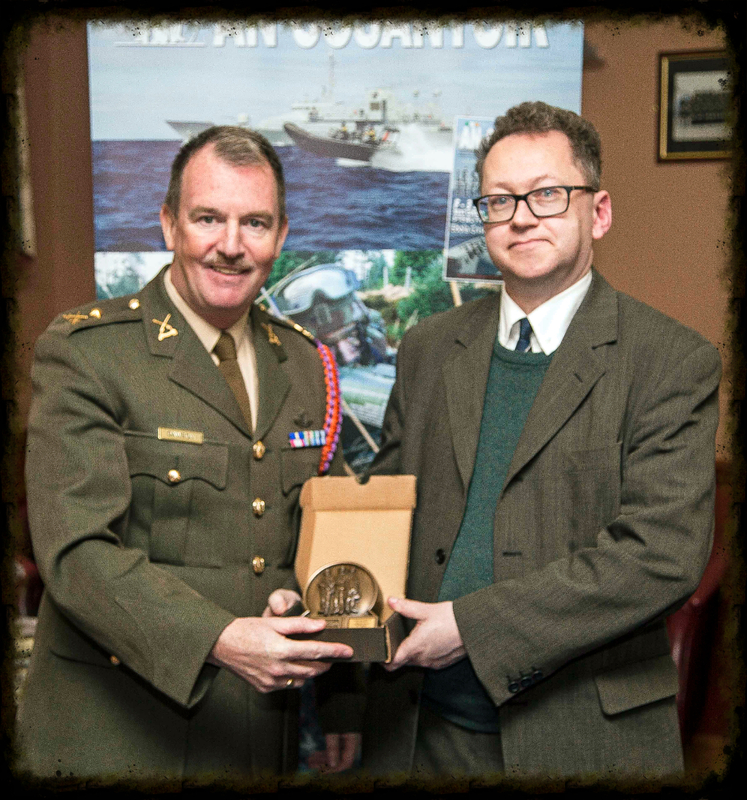 It is not just a magazine for the military – there are also book reviews, history articles, current affairs articles and even games reviews and has won international awards for its writing. 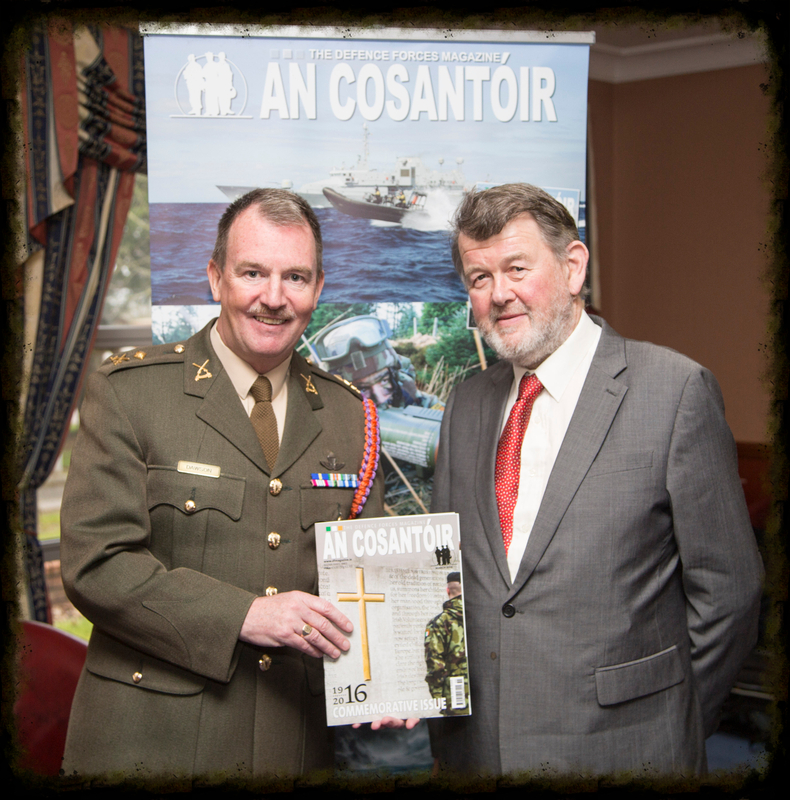 The magazine is now available in Eason’s for only €3 – incredible value, and there is a chance to win all 15 Kilmainham Tales books inside. Definitely the best €3 worth around.